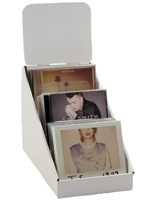 This Cardboard CD Display Can Be a Valuable Addition to a Retail Store Counter! 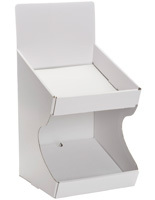 This Countertop Fixture Is a Shop Fixture with an Easy to Assemble Design! 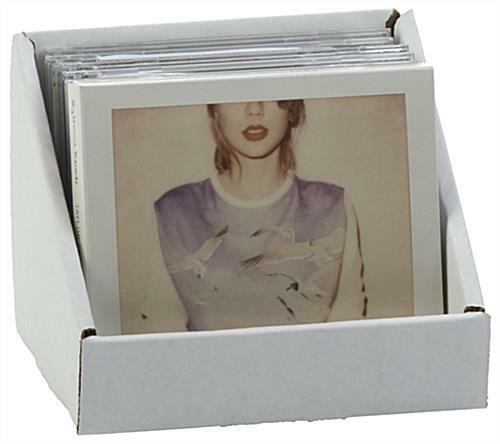 This Cardboard CD Display Is Priced to Sell! 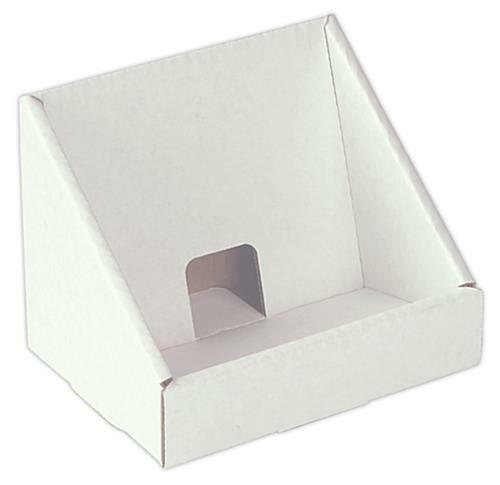 This cardboard CD display, also known as a corrugated video holder, can hold approximately seven CDs within the 3" deep compartment. 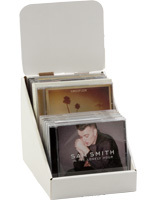 The countertop fixture has dimensions of 6-7/16"w x 5"h x 4-11/16"d. This cardboard CD display does not take up much space, so it can be placed in cluttered areas! The holder has a double-walled design for added stability. This cardboard CD display, which has the angled backing, keeps the materials in full view at all times. The videos and music will be fully visible to users at the table or the counter. 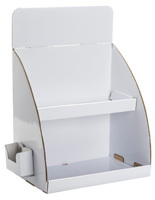 This cardboard CD display, frequently called a retail DVD holder, is the perfect answer shops on a budget or those looking to place fixtures throughout the establishment. The corrugated rack is the economic option for an affordable showcase. 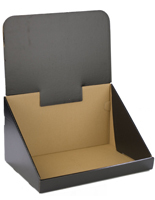 This cardboard CD display is the perfect fixture counters and cash wraps in any retail business. The fixture is ideal for encouraging patrons to make last moment purchases as they are checking out. 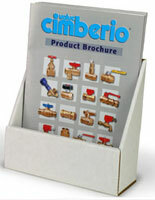 This cardboard CD display that is inexpensive allows for users to purchase multiples and set them up throughout the establishment. The simple design and neutral color is certain to blend in with the current decor. Due to demand samples can no longer be provided without charge. Sample (quantity of 1) requires a 2-day lead-time. 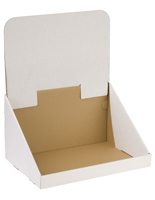 6.4" x 5.0" x 4.7"
5.9" x 5.0" x 3.0"
We are unable to accept orders for less than 50 units.